When visiting the gallery you may notice that many WPG artists create monoprints and monotypes. Unlike some print techniques which go by various names (screenprints and serigraphs are the same thing), these two processes are different! 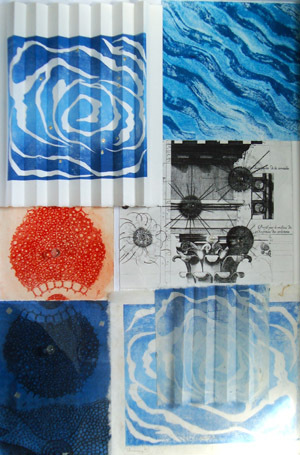 Both monoprints and monotypes involve the transfer of ink from a matrix (copper plate, litho stone, silkscreen, etc) to canvas, paper, or other surface. In monotypes, the plate is featureless. This means it contains nothing (such as etched or engraved lines) that will pass on any characteristics to the prints. In the absence of any permanent features on the plate, all imagery is reliant on the artist manipulating the ink, resulting in one distinctive print. Monoprints are the outcome of matrices that have permanent features, and can be considered variations on a theme. The theme is the result of permanent features of the plate (such as a silkscreen template or etched lines). Variations on the theme are made when the plate is inked differently prior to each print. Possibilities for variance are infinite, and include monoprints of different color, ink density, or even size, but certain permanent features on the plate will always carry on from one print to another. 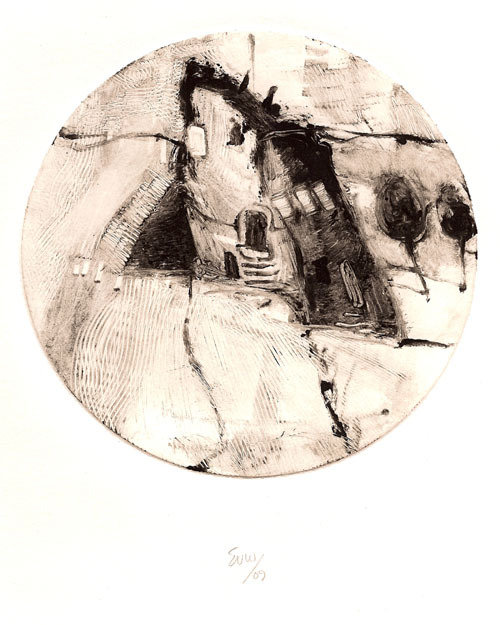 This entry was posted in Artists and Art, Printmaking, Printmaking 101. Bookmark the permalink.